The trio of actors who replaced Heath Ledger in his final film have donated their fees for the movie to the late star's young daughter. Jude Law, Colin Farrell and Johnny Depp all signed up to take on Ledger's character in Terry Gilliam's The Imaginarium of Doctor Parnassus. 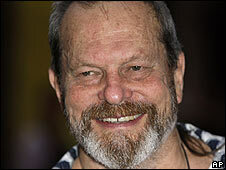 Gilliam said: "They didn't take money - it goes to Heath's daughter." 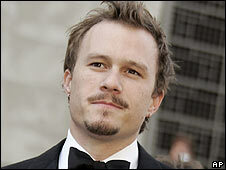 Ledger was in the middle of filming on the movie when he died of an accidental overdose in January 2008. The fantasy film follows a travelling theatre troupe which offers audience members the chance to pass through a magical mirror to alternate dimensions. Gilliam said: "The great thing about it was when Heath died those three actors came along and saved the day. It's now four actors creating one character. "The three actors were totally heroic coming in because this doesn't happen very often, where there is a tragedy and very famous and successful actors come in and say OK we'll do whatever it takes to help. To be part of that is wonderful." Although Ledger had not updated his will to include his daughter, Matilda, or his ex-partner Michelle Williams, his family promised that Matilda would be an "absolute priority". The Imaginarium of Doctor Parnassus will be Ledger's final film to be released. Just before his death he completed filming on Batman movie The Dark Knight, for which he won critical acclaim in his role as The Joker. The Dark Knight broke US box office records for opening night takings, with receipts of $66.4m (£33.2m).